Historic Uptown Lexington is a revitalized city. 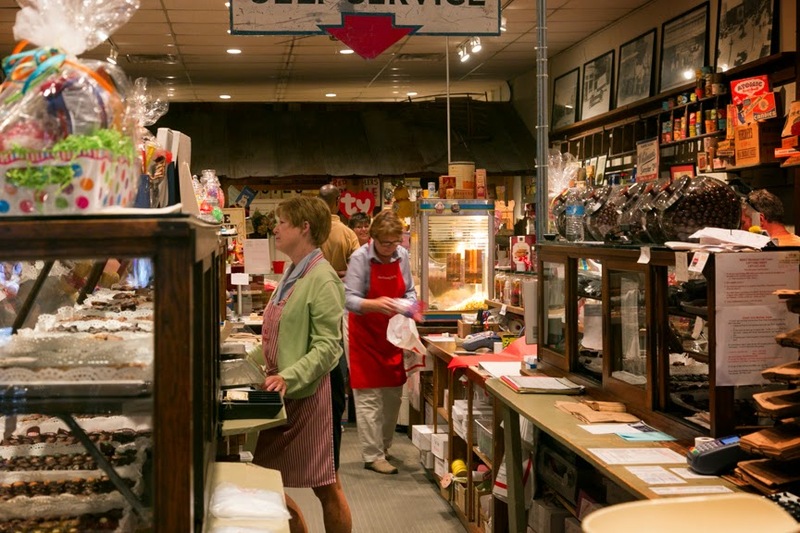 Like so many towns across the US, their main street shopping declined as urbanization spread. Malls sprouted in the suburbs and down towns suffered. But, Lexington, North Carolina is once again a happening place. “Meet Us on Main Street” occurs once a month during the summer. 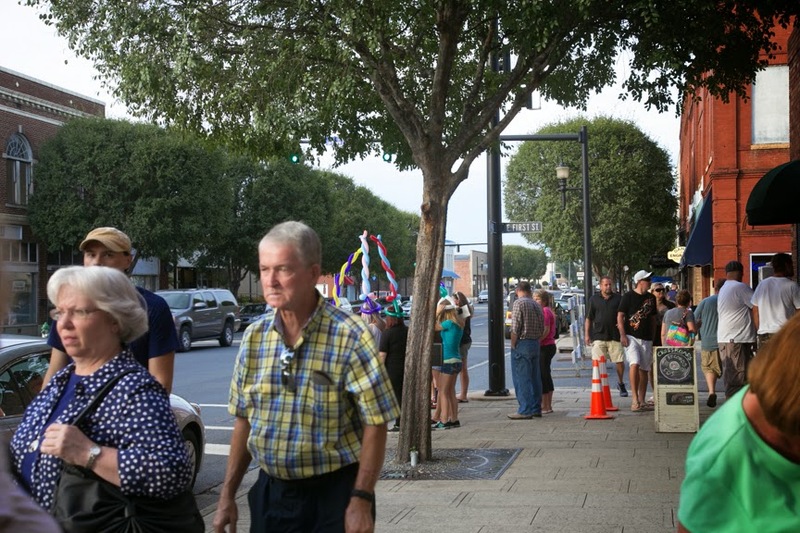 Residents and visitors stroll along shopping and dining or just visiting with neighbors. A band provided music in front of Conrad & Hinkle and on this August night, classic cars were on display in all four quadrants and again allowed to cruise up and down on Main. The Good Girls first stopped into Missions Pottery to paint a piggy bank. 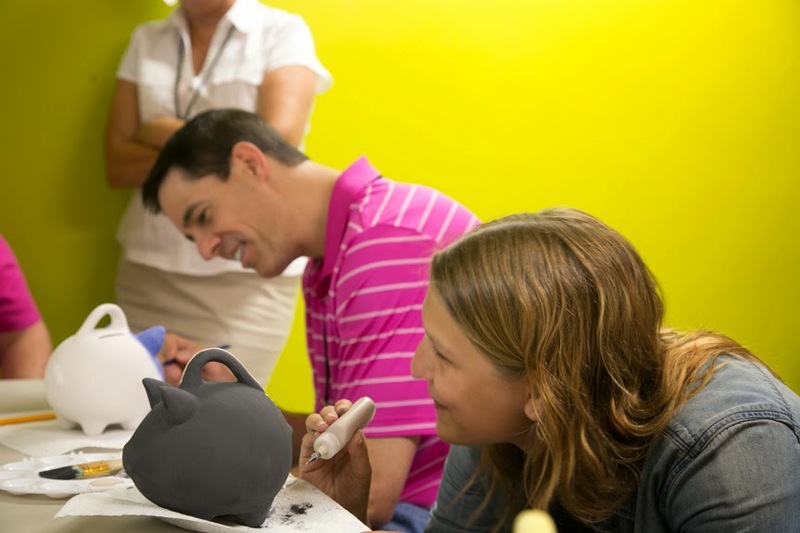 Pottery painting is a relaxing activity and draws kids for birthday parties, parents or grandparents for some fun together time or women for Girls Night Out. The store in Lexington is so popular it has expanded a few times. Painting Pottery at Missions Pottery, Lexington, NC. We then walked down to The Candy Factory, a shop offering the best selection of old-fashioned candy I have ever seen. 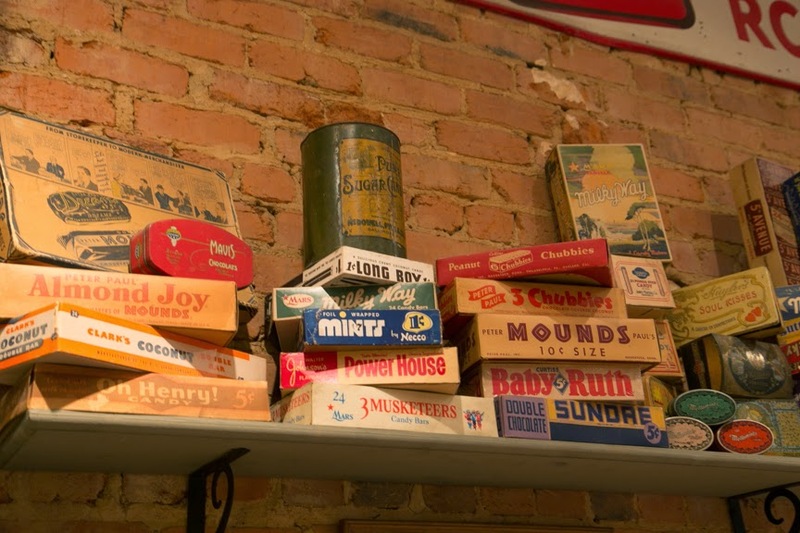 Boomers will feel nostalgic as they browse games and treats from the good old days. 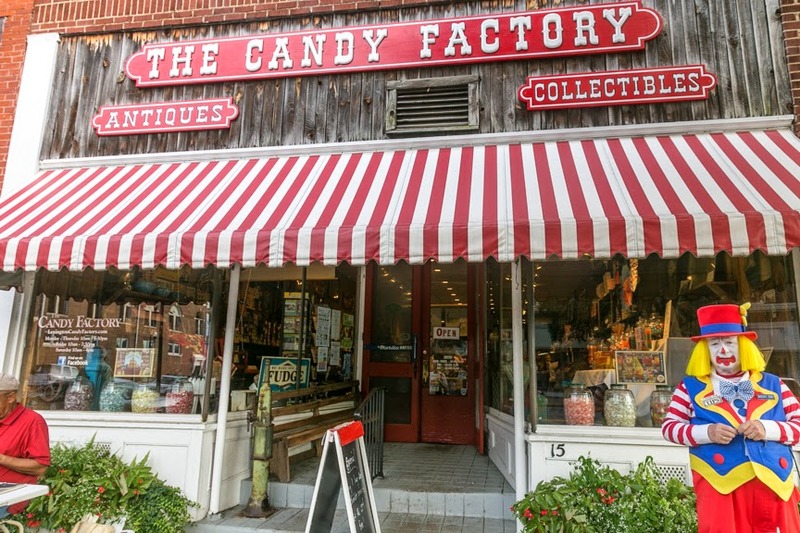 However, they aren’t stuck back in time; the Candy Factory’s display cases are full of chocolate truffles and in-store homemade fudge, their specialty. I choose caramel sea salt chocolate and Judy picked chocolate walnut - yummy. 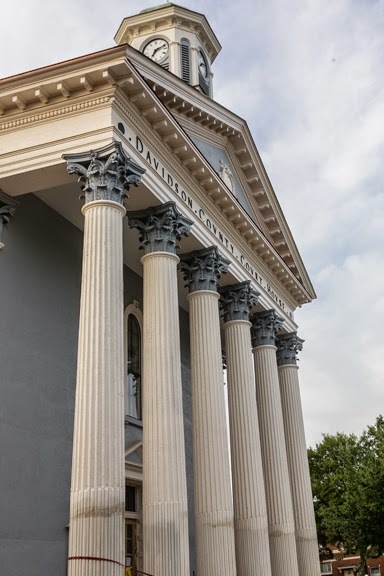 Davidson County Courthouse, Lexington, NC. I returned to the main square, passing the newly renovated courthouse. 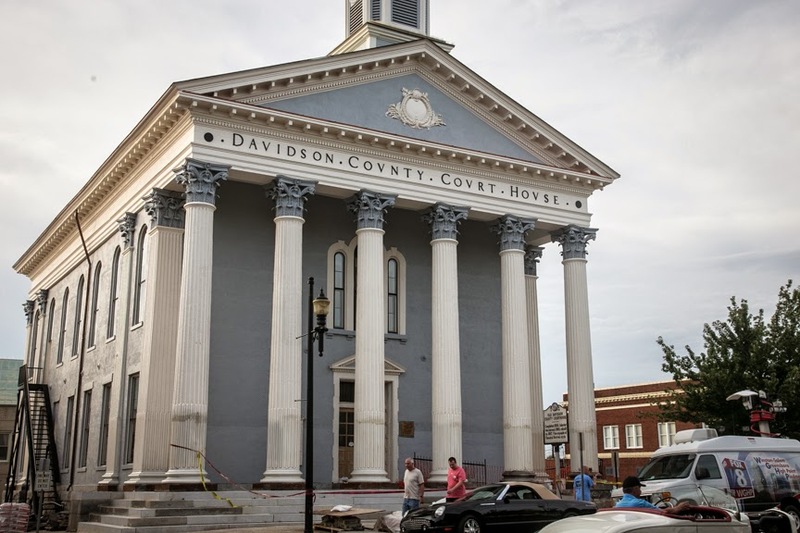 The 1858 gem is a thing of beauty and holds the Davidson County Historical Museum on the first floor. The courthouse parking lot was the location where barbecue got its start in this area. Folks would come for the bi-monthly court sessions and needed something to eat. Pig farmers dug a pit and began smoking meat. The pork and pit barbecue method became so famous that Lexington is known as the Barbecue Capital of the World. While some folks in South Carolina, Memphis or Kansas City may disagree, you can’t visit without trying a few of the 16 BBQ restaurants. The Good Girls were off to do their best. The Good Girls arrived in the capital city of barbecue, Lexington, North Carolina, to begin the Swine, Wine and Dine tour. 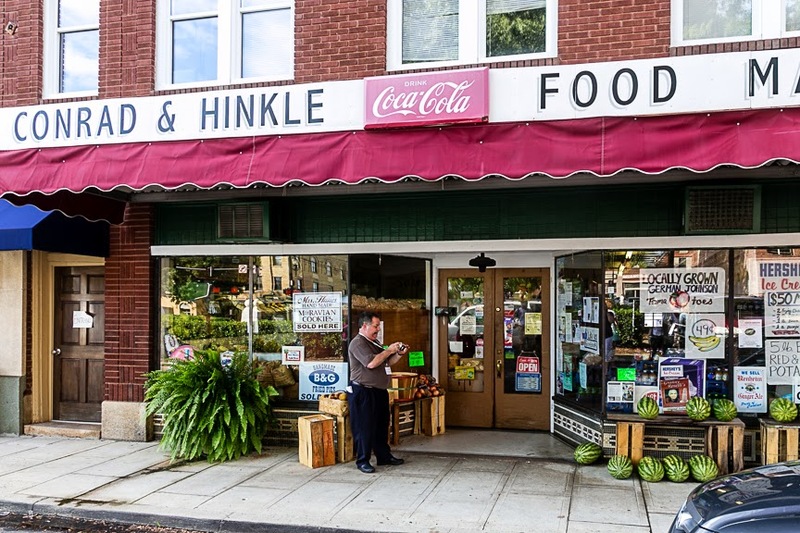 Soon we were off to Conrad & Hinkle’s Food Market. The small grocery store has thrived in the center of town location (now called Uptown) since 1919. A lot has changed over the years and you might wonder how a Mom and Pop grocery can remain profitable against chain stores. The answer is simple: Pimento and Cheese. 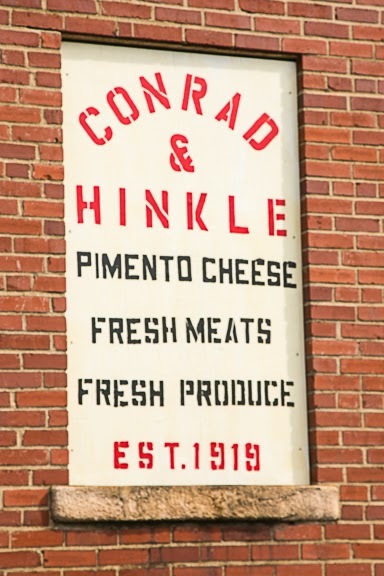 Conrad and Hinkle’s sells about 1500 – 1600 pounds per week. 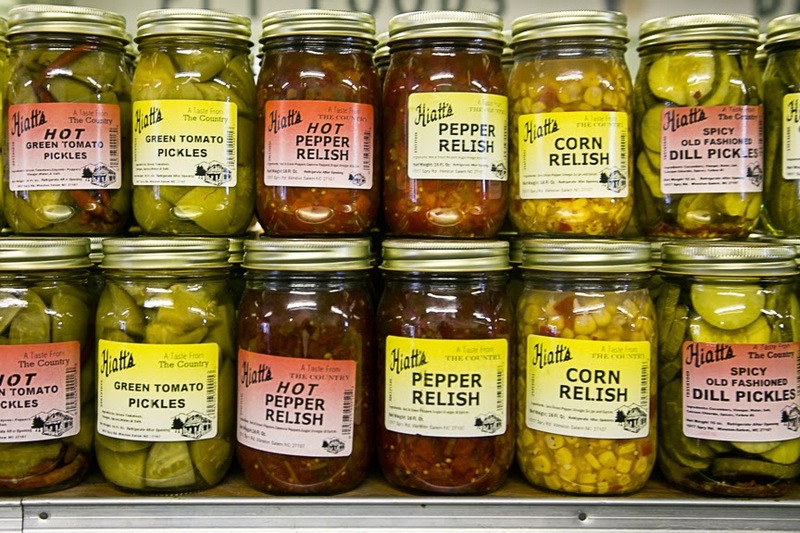 The southern staple, about as common as sweet tea, is made from a secret recipe containing shredded cheese, mayonnaise, pimento, sugar and sugar. The recipe came from the wife of the original owner and has remained unchanged. I tasted my first pimento and cheese sandwich at the Master’s Tournament in Augusta, Georgia, where it remains a tradition. The combo was smeared on white bread, and in my opinion, was nothing to rave about. But I tried Conrad and Hinkle’s Pimento and Cheese Dip on a Ritz cracker and it was far superior. I think the reason may be the consistency. 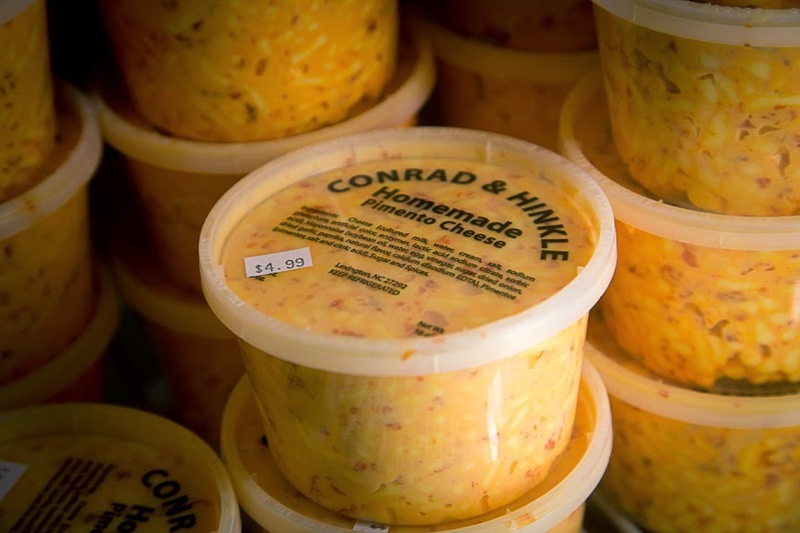 Most pimento and cheese mixtures are spreads, the cheese finely grated and completely mixed in. The Lexington delight retains the orangey cheese in its recognizable shredded shape. The people of Lexington know a good thing when they find it. While we were visiting the store, numerous folks came in, went directly to the refrigerator containing the famous concoction and picked up two or more containers. They might have stopped by the butcher, who cuts meat to a customer’s request, but most browsed. 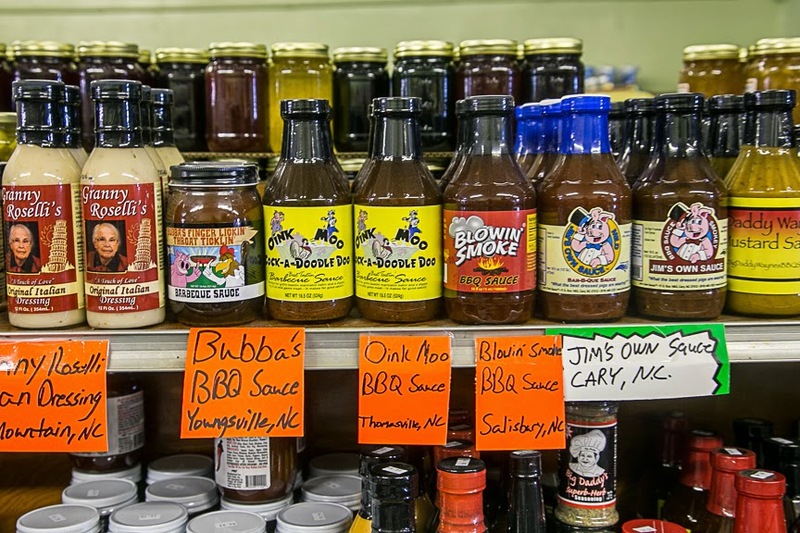 The store carries local North Carolina products, like pickles and barbecue sauces that are hard to find. 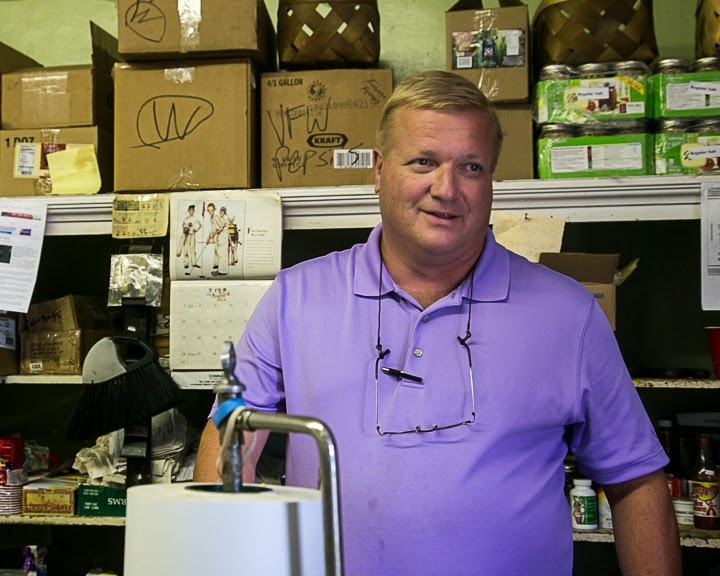 Lee Hinkle, the 4th generation owner, has worked in the store since he was 11 years old. He says it’s the only job he has ever known and seems quite happy. The market also sells about 700-800 pounds of chicken salad per week. While their pimento and cheese is available at other regional stores (check the website for locations) the chicken salad is only sold at the original location. While not the most attractive appetizer, I would serve Conrad & Hinkle’s to guests - if I could get this brand. Otherwise, I doubt you’ll find me eating pimento and cheese. Guess I’m not a true southern yet. Nation's first gold strike - in North Carolina? Little Meadow Creek. Photo by Judy Wells. We've heard of Sutter's Mill in California, but Little Meadow Creek in Midland, ten miles or so from Charlotte, N.C.? Probably not, but it was the site of America's first gold strike. On a spring Sunday in 1799, while their parents were at church, the three children of John Reed and his wife were down at the creek bow and arrow fishing. Conrad, 12, found a 17-pound shiny rock and brought it home. No one knew what it was so it became a door stop until John took it to a Fayetteville jeweler. He asked $3.50 for the 17-pound gold nugget worth about $3,500, the first ever found in the new country. The trickle, not yet a rush. that came with the discovery of a 28-pound nugget, was on. Fruit and chocolate crepe at Irene Cafe. YUMMM. Having already struck edible gold at the tiny, chummy Irene Cafe, where charming Chef Kidane Sayfou turns out superb Brittany-style crepes, we headed out to Reed Gold Mine. Reed Gold Mine museum. Photo by Judy Wells. Today there it is a state historic site with a free museum, mine tour and gold panning (at $3 a pan). Kids love the panning - it takes about 20 minutes to go through a pan - and they will probably be thrilled with the tiny flakes usually found. When it's about gold even kids will pay attention. Photo by Judy Wells. No one knows how much gold was actually panned and mined here and in the more than 12 NC counties where gold was found. Much of it disappeared into jewelry and private transactions, but there was enough to establish a federal mint in Charlotte where more than $4 million in gold was deposited over the next 20 years. The last large nugget - nearly 23 pounds worth- was found in 1896 but by 1912 the last mine closed. The Good Girls, Debi and Judy, at it again. As usual, we had fun with hats before heading on to Lexington, barbecue capital of the country, for #swinewinedine tour. Good Girls Debi and Judy sign up for another road trip. 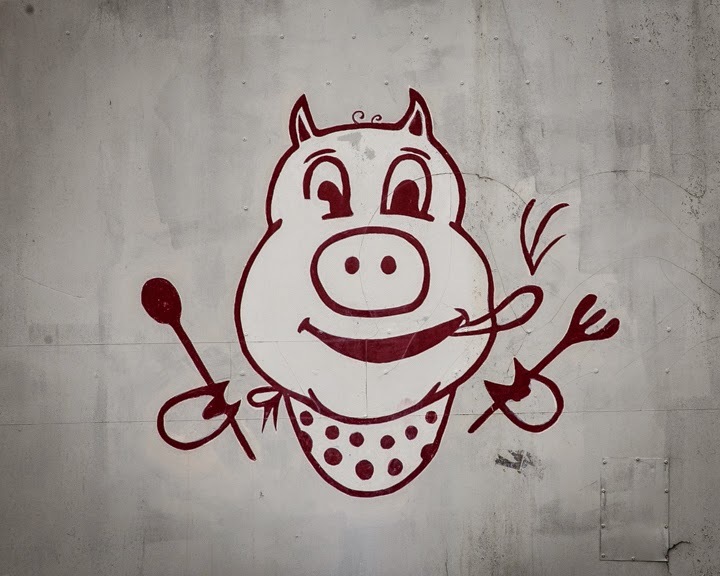 This year we pick up an honorary Good Girl in Charlotte, NC, then head to Lexington, NC, a double star on the North Carolina Barbecue Trail, for the #SwineWineDine tour of vittles and vineyards. After that we dip across the line to invade South Carolina. Not the Charleston and Beaufort of most road trippers but smaller, lesser known locales of Revolutionary War, peaches and wild turkey fame, to hint at a few notable sites. And yes, more barbecue. Can't do one Carolina without the other. So log on, settle in and enjoy the scenery and adventures - miss and otherwise.